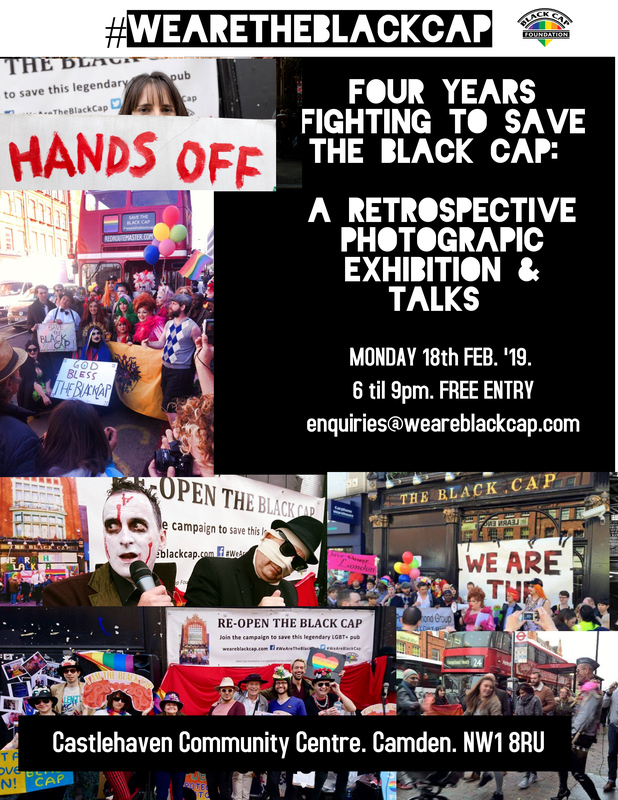 We are very pleased to announce that We Are The Black Cap will be hosting a retrospective photographic exhibition at Castlehaven. 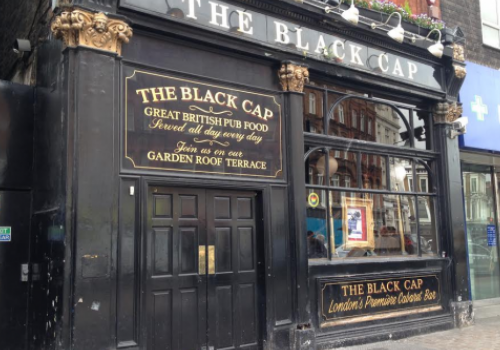 The event will look back at the campaign group’s four-year fight to re-open the iconic "The Black Cap" pub, a once thriving LGBT venue in the heart of Camden. The pub was closed in April 2015 by Faucet Inn to convert into high end apartments and a restaurant. Since then the campaigners have worked tirelessly to prevent the works from going ahead. The free exhibition is taking place on Monday 18th February, 6-9pm. For more information please email enquiries@weareblackcap.com.